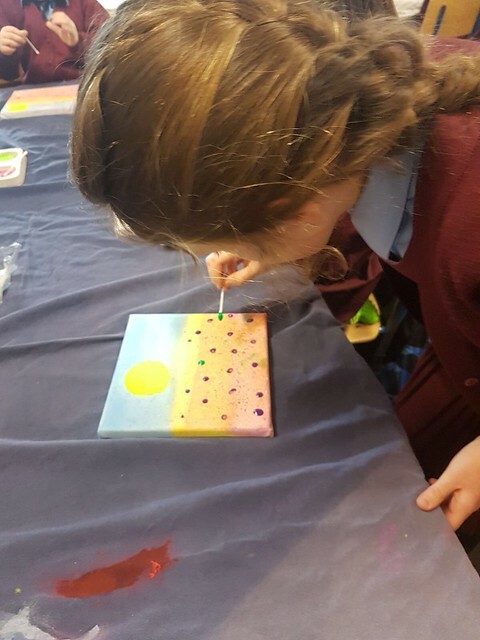 The girls in Ms. Wickham's Class are learning about the work of artist Yvonne Coomber. Her raindow drenched paintings sing of tumbling hedgerows, tangled meadowlands, open moorlands and magical forests. The artists intention is to transport the viewer to a place of happiness that is literally saturated in joy. A place where paint smiles! The girls certainly succeeded in doing so with their beautiful work. Well done!